Recently I read both Katie's and Hannah's blogposts that are related towards being a perfectionist. 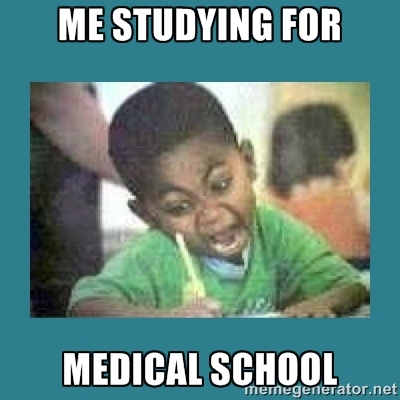 To be honest, I think that every medical student is a perfectionist to some extent. That's the only way you can motivate yourself to learn all of the course content! When I did my GCSEs, I got 7A*s and 4As and I was so disappointed. I was predicted 11A*s so of course in my head I had massively underachieved. I did best in my year at my state comprehensive, got my name in the local paper. In some of my classrooms we didn't have the higher tiered textbooks or past papers, so I pretty much taught myself. But I was still so so incredibly disgusted in myself. 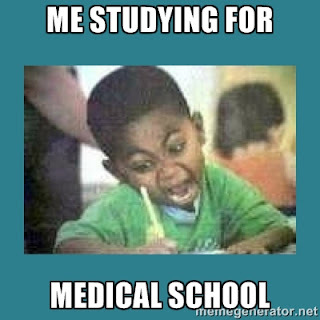 Then A levels rolled around, I was imagining what it would be like to go to medical school. I would think about all the research papers I would publish, and how one day I would become some cool surgeon or physician and do TV appearances (Dr Christian Jessen is my idol haha!) because I had so much wisdom to impart. At the same time, I took my ABRSM grade eight piano exam. My teacher always said I could get a distinction, and so once I had done the exam I was filled with dread. It went well, but I knew that if I didn't get that distinction I would be so disappointed. And when I got that phone call saying I had a distinction, I was pretty mellow. Getting a distinction was the least I was expecting. Then I was disappointed that I didn't get full marks. It goes on and on and it's so destructive. Of course, it is so much fun to have challenges and dreams. When I find something hard to understand, part of me secretly loves it. I love it when something isn't obviously easy and I have the challenge of becoming a pro at it. To help manage my depression I take antidepressants and go to counselling with clinical psychologist. In my head, depression needs to have a reasoning behind it. In Cognitive Behaviour Therapy, the idea is we asses our thought processes and then discuss how that can be changed. And for me, I need to realise what matters most. If I have a million letters after my name, showing all the qualifications I have, that doesn't mean I'm a nice person. If I do ever manage to get a paper published, that doesn't mean that I am loved. It doesn't make me special. In life, we are exposed to society's opinions and the opinions of our family and peers. We navigate through that and then have to decide what our own opinions and our own values are. I want to make the decision that the only thing I value in life is happiness. My value is not defined by what speciality I choose (God forbid I become a GP, how typical hey). In my first hospital placement I was shadowing a consultant that I don't have any nice things to say about. We'll leave it at there. He has had countless publications and has a very respectable job status. However, I will never want to be him. Regardless of his academic success, he is not a nice person. I am putting it as gently and vaguely as possible as I don't want to be unprofessional. But if someone said I could trade places with him, there's no way in hell I would want to. Because it's more important to be a kind person than to have a swanky job title and be so incredibly rude.